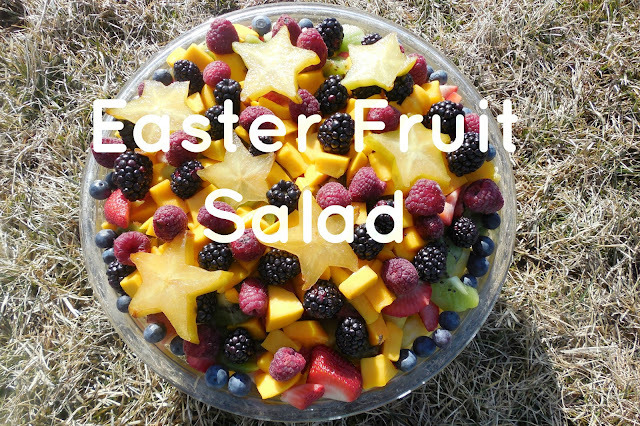 This Easter fruit salad is simple to make and you can use whatever fruit you have on hand. Perfect for Spring and the perfect healthy dish. 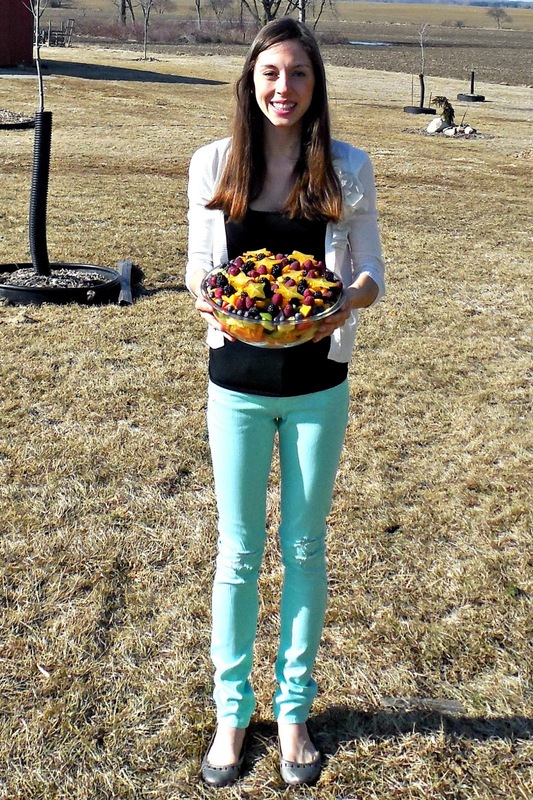 As I told you in my Easter post, making a huge fruit salad has been a tradition of mine for a long time. I used to make it with my Dzia-Dzia (grandpa in Polish) until he passed away. After he died, I carried on this tradition. It means a lot to me and I look forward to it every year. The recipe for fruit salad is so simple. Wow I did not realize until now that it contains 15 different kinds of fruit! What I do is just chop everything up into bite sized pieces and layer it in a bowl. I make it the day before Easter and we usually have 1-2 extra fruit salads because it is a lot of fruit. 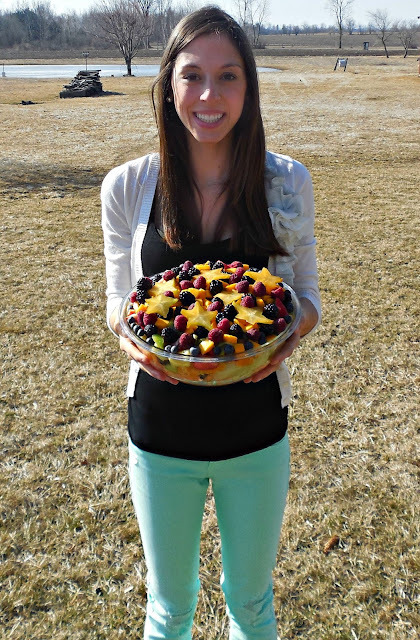 If you need to bring a dish to a gathering, a fruit salad is a healthy and fresh option. Fruit salad is low in calories and high in fiber, vitamins and minerals. The fruit salad can last up to 3-4 days. That fruit salad looks delicious.